Pro 80 complements the most discerning systems with 180W of Class A/B MOSFET power feeding an ultra long-throw 12” sub-bass driver. 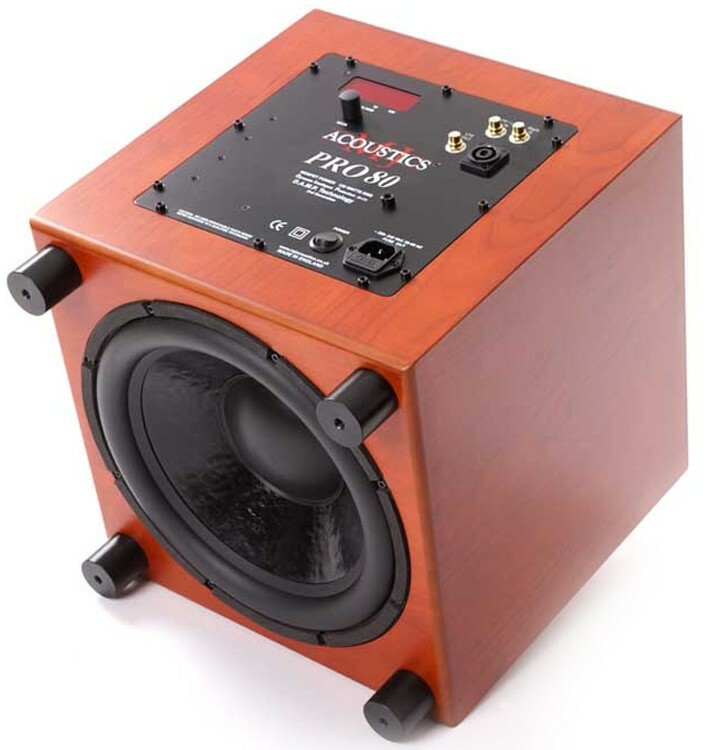 MJ Acoustics Pro 80 Subwoofer maintains the same diminutive size of its predecessors. The accuracy is provided via the legendary DAMP (2nd GEN) microprocessor circuits that handle display, crossover, gain settings, phase and power meter in addition to all the protection circuits. MJ Acoustic’s unique combination of state-of-the-art electronics and tuned hand-built sealed cabinet affords the user the ultimate in sub-bass control. Add to this a beautiful non-reflective satin finish and attention to the finest and smallest detail. Once installed and dialled in you will not want to be without it. The 180 watts of Class A/B MOSFET amplifier feeds an ultra long-throw super-rigid 12” sub-bass driver of rugged efficient design and finish. The PRO 80MkI delivers a vast punch and solid slam without the dreaded overhang. Deep and powerful enough for the most demanding movie soundtrack, yet subtle, agile, fast, and accurate for the highest fidelity in music listening. For the Pro 80 subwoofer, MJ Acoustics took their landmark Pro 50 subwoofer and made very accurate adjustments so that in multiple subwoofer systems, they could properly tune them with repeatable settings to be stored in non-volatile memory. They aimed to extract the most output possible by tweaking the power available along with enhanced filters and crossover layout. All this was achievable, because the microprocessor within the DAMP circuits monitors system status very carefully to make sure that the purest of output emanates from the cabinet without the slightest hint of distress or distortion in the waveform. With the required tweaks in filter design to accommodate the natural roll off characteristic changes in the cone from the increased mass, MJ Acoustics established a magnetic structure and Gauss setting for the motor assembly that extracts the very best from this Bass Engine. Increasing power up to 180 watts, the efficiency of the motor assembly was honed to perfection releasing its full potential and the results are quite stunning. Legendary High-Level and Line-Level inputs with Twin independent gain settings complete the design. Unrivalled features unveiled in the Pro 80 push the boundaries ever further. 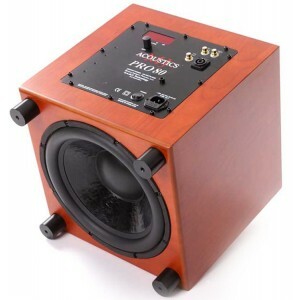 Designed from the ground up this subwoofer has variable phase, 180watts of power and a newly designed 12” driver all packed into a diminutive 345mm cube. It integrates seamlessly with any speaker from small satellites to high-end floor standers. With bass out lowered to 10Hz and a -3db rating at 19Hz in a room it really is unbelievable value that complements the most discerning cinema and music system!